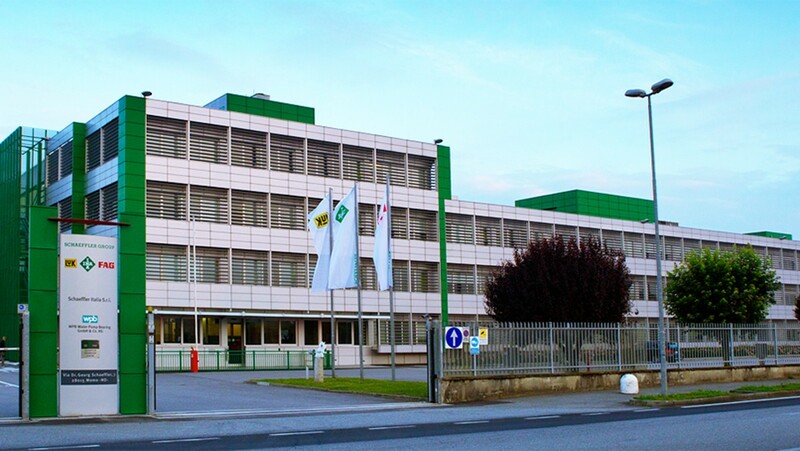 On the one hand, Italy is the second most important European sales market for Schaeffler’s Industrial division. 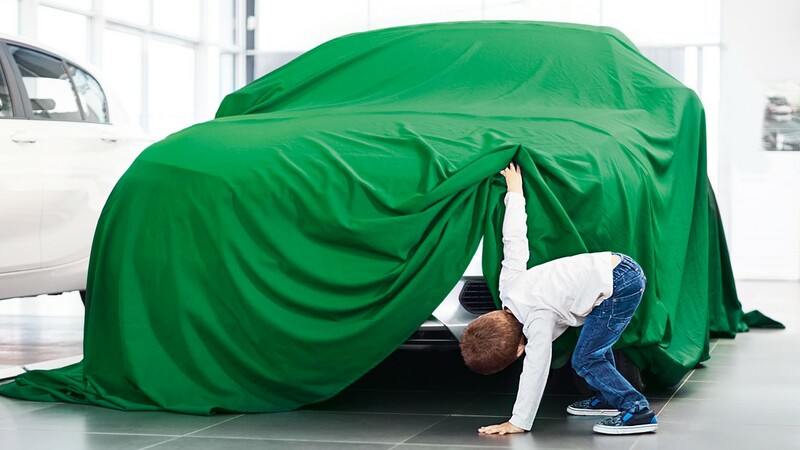 On the other hand, a large proportion of the products manufactured by Schaeffler Italy are shipped abroad. The new Panama Canal opened on June 26, 2016. Its locks are so enormous that container ships with a length of 366 meters (1,200 feet) can pass through them. Schaeffler has supplied more than 3,400 bearings for the lock technology and environmentally friendly water management. 13,000 tons of freight and a length of 149 meters (489 feet). When the American steamship “Ancon” was the first to travel on the just completed Panama Canal in 1914, people thought it was huge and it caused debates about whether such large freighters could ever be profitable. 102 years later, a new debut is on the horizon. 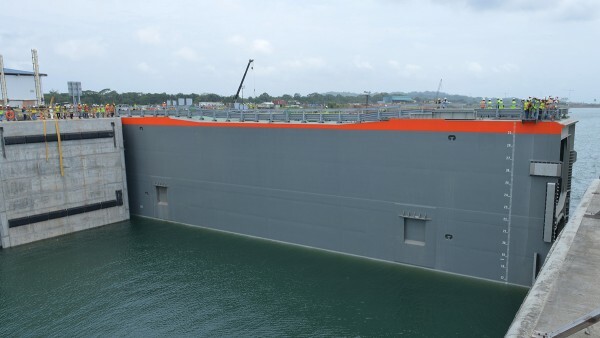 This first ship to use the new and now third Panama Canal will be the “COSCO Shipping Panama”, a container ship operated by a Chinese shipping company. 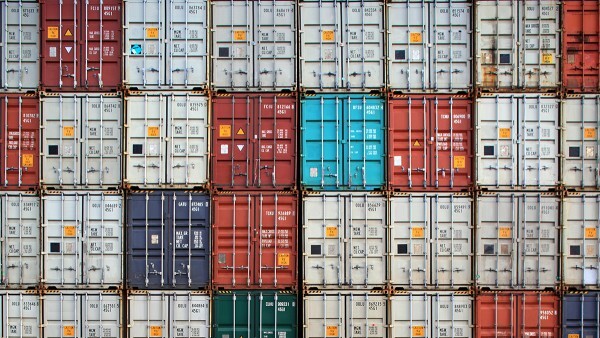 With a length of 300 meters (984 feet) and a width of nearly 50 meters (164 feet), it can take 400 standard-size containers on board; its maximum load capacity is around 117,000 tons. The hunt for records in commercial shipping is a direct consequence of growing world trade – and the reason why the Panama Canal has now been expanded to include an additional channel. Until now, passage was only possible for ships that were no wider than 32.3 meters (106 feet). This dimension was so important for international maritime trade that for a long time container ships were built to meet the so-called “Panamax” dimensions. The locks used to be the primary bottleneck: If a ship was built to the maximum width, only 60 centimeters remained between the lock walls and the ocean-going vessel. Both on the Atlantic and on the Pacific side, a difference in height of 26 meters (85 feet) must be overcome. 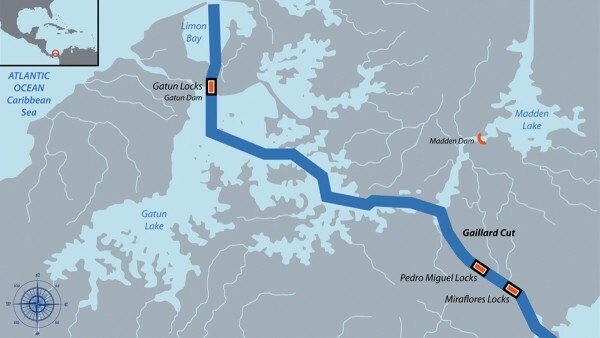 After a nine-year construction period, the new, third channel of the Panama Canal opened in the middle of June, allowing ships with a maximum length of 366 meters (984 feet) and a width of around 50 meters (164 feet) to travel this shortcut between the Atlantic and the Pacific Oceans. The new canal will not be able to do without locks either. Both on the Atlantic and on the Pacific side, a difference in height of 26 meters (85 feet) must be overcome first to pass through the interior of the country. This is achieved by three consecutive locks that are flooded with water from adjoining reservoirs. The lock gates are made of reinforced concrete and have enormous dimensions: They are 50 meters (164 feet) wide, 30 meters (98 feet) high and 10 meters (33 feet) thick. For safety reasons, two gates have been installed for each barrage that open to the side. To open and close the gate, each has two main drive units that drive a cable winch. Since very high torques of up to 330,000 Nm are required to move the gates, there is also a gearbox on each that increases the torque of the electric motors by almost 280 times. Both at the top and at the bottom of the reservoirs, two so-called “carriages” guide the gates that weigh 3,100 tons. Here guide pulleys are used that must be able to withstand not only the gates‘ dead weight but also the pressure of 430 million liters of water per reservoir. The guide pulleys as well as the gearboxes use bearings made by Schaeffler. The slow motion of the lock gates causes a quasi-static load in the bearings with very high forces. Schaeffler engineer Francesco Capittini describes the special challenges as follows: “The slow motion causes a quasi-static load in the bearings with very high forces.” In addition, the operation of the Panama Canal must work reliably 24/7 due to its significance for world trade. Maintenance intervals are scheduled only every five years. One important feature of the new Panama Canal is its three reservoirs that are located next to each barrage. They ensure that the gigantic expansion project is environmentally friendly. Barrages need a permanent water supply. Until recently, water came mostly from Gatún Lake, a man-made lake created a hundred years ago in the center of the country. The reservoirs, also called “water saving basins” by the operator, provide resource-saving water management. With their help, most of the water is recycled. Several valves open in a channel below ground to drain the water from a barrage. The channel connects the water saving basins and the barrage. Due to the large size of up to seven meters (23 feet), the valves have also been designed as gates. The steel guide pulleys for these gates are also equipped with bearings made by Schaeffler. 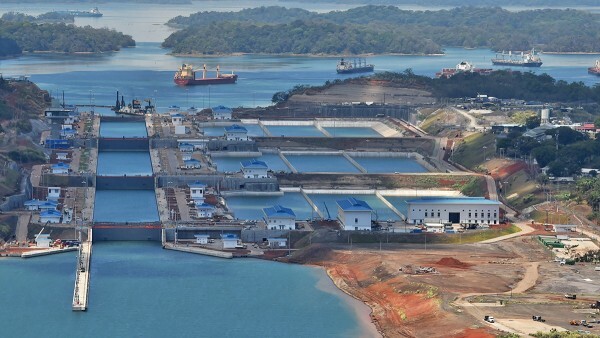 The construction of the Panama Canal was carried out by highly specialized companies from all over the world. The Italian engineering company Cimolai Technology, for instance, developed the entire mechanism for moving the gates. 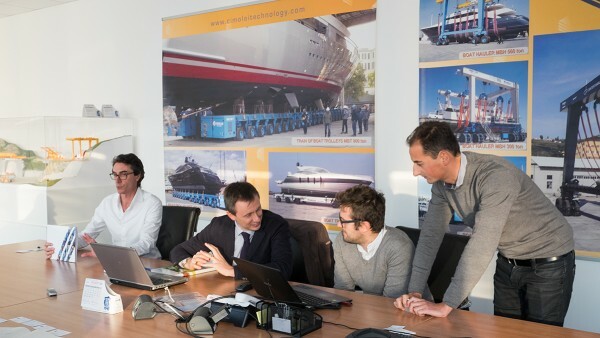 Matteo Maretto, a member of the development team at the Italian family-owned company, explains: “The bearings are a very critical component for the overall functioning of the lock. They have to work under any circumstances; otherwise the entire facility would stand still. 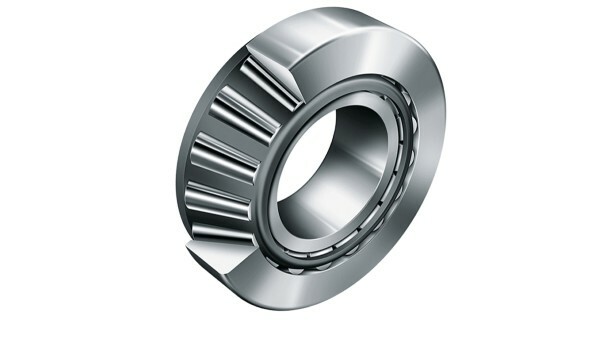 Schaeffler provided valuable support to us during development.” Spherical roller bearings made by Schaeffler are used in the guide pulleys as well as in the drums of the steel cable winches. The bearings are a very critical component for the overall functioning of the lock. 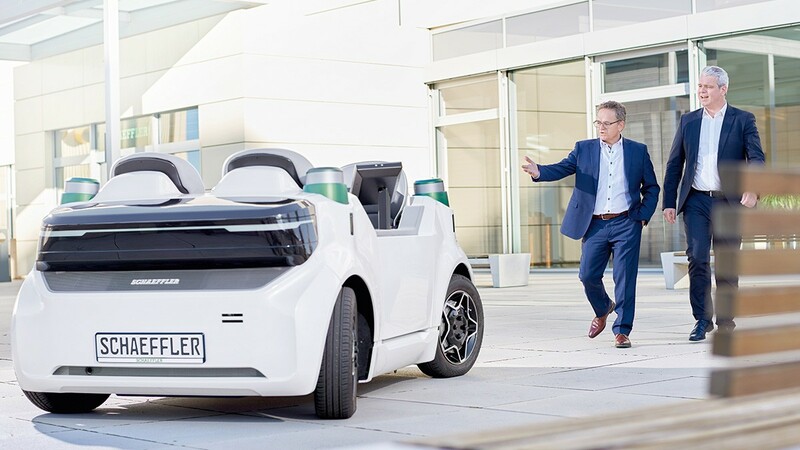 Schaeffler provided valuable support to us during development.